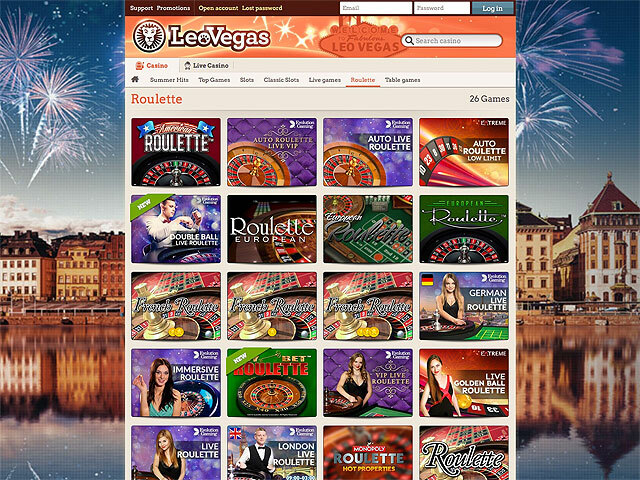 Offering over 550 games, LeoVegas is a major European gaming platform available in a wide range of languages. The casino holds numerous prestigious awards and professional certifications that highlight the casino’s excellence, fair gaming and commitment to best practices in the industry. The website of LeoVegas is designed with a mobile user in mind and is compatible with all portable devices, including iPads, iPhones and Android-based tablets/smartphones. The casino is very friendly to its users and provides every convenience for trouble-free gaming experience. It features a Game Rules page where a player can get familiarized with the rules of all roulette games, video slots and other games offered at the casino. LeoVegas allows to cash out any amount from the casino without any limitations whatever, though some categories of players have only three withdrawals per month. Customer support members can be reached by phone (tolls are free for UK users), email , 24/7 live chat or phone. 30+ live roulette games by Evolution Gaming, Extreme Gaming, NetEnt, and other top-notch developers.